The Westminster Bookstore is an excellent resource for families throughout the year. Items for sale, in addition to course-required books, include P.E. 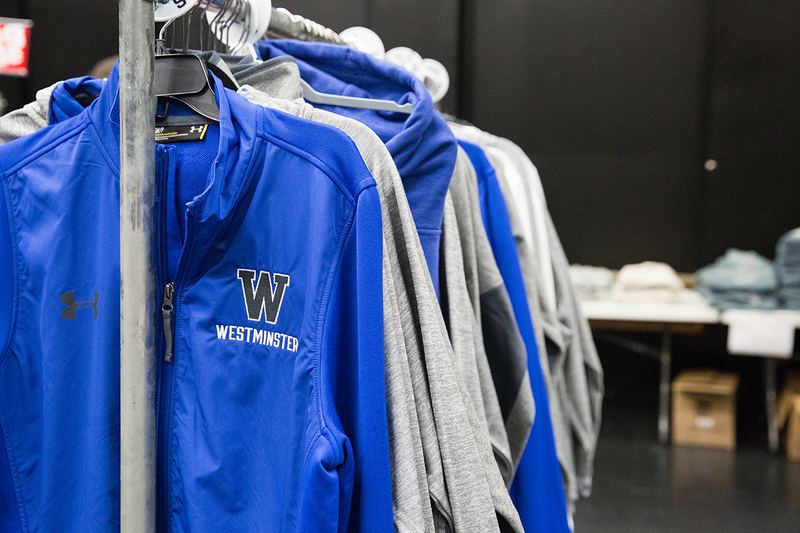 clothing, school supplies, and Westminster logo clothing, gifts, and snacks. All profits are used for school operations. Monday-Wednesday and Friday: 7:30 a.m.–3:30 p.m. Volunteers help to operate the bookstore and commit to a 2 ½–3 hour shift twice a month for the school year. If you are interested in becoming one of our volunteers, please contact the bookstore manager, Diane Miller. Campus Cuisine by Hollyberry Catering offers nutritious, reasonably-priced meals to Westminster students. Hollyberry is one of St. Louis’ premier catering companies, owned by Westminster alumna Holly Cunningham ’91. A sandwich bar, salad bar, grab n’ go foods, and snacks are available every day in addition to the day’s featured meal. Chick-fil-A and Papa John’s Pizza are offered once a month. Current Westminster families, the current month's lunch menu is also available on Veracross. Students can use this account to purchase items from the bookstore and to purchase lunch in the Café. Enter the required personal information to create your parent account. Only one parent account is allowed for all students in your family. A verification email will be sent to the email address you provided. You will need the verification code to access the website your first time. After successfully logging in to the website with your user ID and password, you will need your student’s Veracross ID number to “attach” your student to your account. (You can find this number by hovering your mouse over your student’s photo in Veracross. The number will be displayed). Students can be added and removed from your account at any time.